In the final hours of the session last week, the Legislature passed a funding package for the state’s climate change programs. 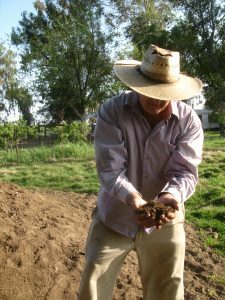 Among the funded programs was the Healthy Soils Initiative, a CalCAN supported effort to provide resources for farmers and ranchers to increase carbon stores in agricultural soils and reduce greenhouse gas emissions overall. Last week, we posted our news release where we celebrated this important victory for sustainable agricultural solutions to climate change. Here we offer greater detail on the outcomes of the legislative session for the Healthy Soils Initiative. Stay tuned. In the coming weeks we will post more on the outcomes for the legislative session, including more on dairy methane issues and a roundup on relevant bills. Central to the funding decisions of last week was the fate of California’s comprehensive climate change law, AB 32. Passed ten years ago, AB 32 requires that California reduce greenhouse gas emissions to 1990 levels by 2020. Last year, SB 32 was introduced by Senator Fran Pavley to extend the state’s climate change law to the year 2030 with a new target of a 40 percent reduction in greenhouse gases below the 1990 level. CalCAN supported the bill. However, with significant industry opposition the bill did not pass out of the legislature last year and instead was held over until this year. The fate of SB 32 seemed uncertain in the final weeks of session until a coalition of environmental and business groups rallied behind it and its new companion bill, AB 197. Also in the final weeks of session, Governor Brown announced a new political action committee (PAC) to explore putting the extension of the cap-and-trade program, a key component to the state’s climate change law, on the ballot in 2018. This seemed to shake loose the stalled talks on the climate bills as well as negotiations on the fate of funding for climate change programs like Healthy Soils. A suite of programs fall under AB 32, including the cap-and-trade program, which requires regulated entities to hold allowances (i.e. permits) for their greenhouse gas emissions and reduce emissions over time. Regulated companies, like the oil industry, purchase a portion of their allowances at state auction. Auction proceeds fund numerous projects across California that help reach the state’s emissions target, including the climate smart agriculture programs. Poor showings at this year’s cap-and-trade auctions meant there was growing support in the Legislature to cut funding for climate change programs. In the final funding package passed last week, a few programs had their funding cut entirely, including wetlands conservation and some of the energy efficiency programs. However most received reduced funding allocations, including the Healthy Soils Program ($7.5 million), and a handful of programs received increases, including the Dairy Methane Program which will provide funds to reduce potent methane emissions on dairies (more on this topic in a future blog). In addition to the funding allocations, the Legislature passed SB 859, which includes key policy provisions for a number of new climate change programs, including the Healthy Soils Program. Establishes the Healthy Soils Program at CDFA to provide incentives to farmers “whose management practices contribute to healthy soils and result in net long-term on-farm greenhouse gas benefits”. Increases the current make up of the Science Advisory Panel of the Environmental Farming Act from 5 to 9 members. Adds members with expertise in climate change and agriculture science and practice along with expertise in agriculture conservation planning and management. Adds farmer members, including a certified organic producer. Establishes the Science Advisory Panel as the body to advise CDFA on the Healthy Soils and State Water Efficiency and Enhancement Program. Organic producer John Teixeira holding his compost. CDFA recently released their updated framework for the Healthy Soils Program. The new framework outlines the kinds of farm practices that may be eligible for financial incentives as well as practices under consideration for inclusion in the program. The framework also discusses parameters for the farm demonstration projects. For more on the draft framework click here (scroll past the SWEEP update). CalCAN has been engaging with CDFA on the program guidelines and framework. We are seeking a program that complements federal efforts to support healthy soils by leverages federal funds through existing USDA/NRCS farm bill conservation programs and builds upon current technical assistance resources in agricultural communities by working with Resource Conservation Districts and Cooperative Extension. Programs like Healthy Soils work best if they reach the diversity of farm operations in the state and provide powerful incentives and resources to support transformative agricultural management. Healthy soils can not only reduce greenhouse gas emissions and increase carbon sequestration, but also provide tangible benefits to agricultural producers and their communities. There will be multiple opportunities to engage in the development of the Healthy Soils Program. CDFA will announce public workshops on the program, which we will also announce on our blog. 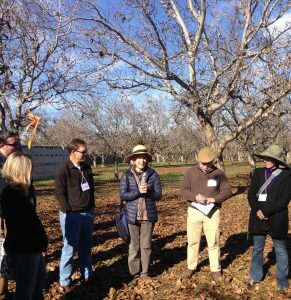 You can sign up for Healthy Soils Program email updates from CDFA by clicking here.